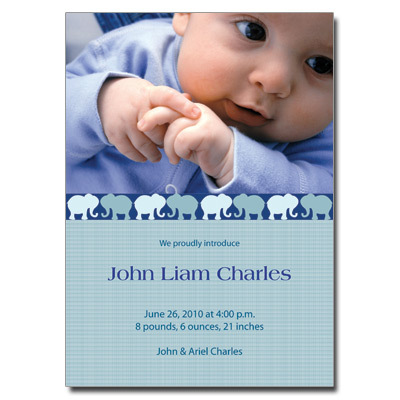 Printed in several shades of soft blue and teal, this birth announcement features a row of elephants beneath a photo of your little one. Customize the type at the bottom of the card arranged atop a simple striped pattern. Card measures 5x7.